Makes a great thank you for any occasion! 1.6 oz Clear cello bag filled with 1 chocolate foil wrapped globe and 1 chocolate foil wrapped "Thank You" square. 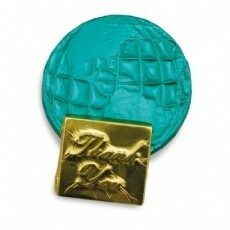 Mix and match foil colors and chocolate flavors for no additional charge.